While this story has not been caught by any of the major wires, The Australian’s Jerusalem correspondent Sheera Frankel reports something quite disturbing: “All eyes on Israel after second Iranian blast. CLOUDS of smoke billowed above the city of Isfahan – evidence that the latest strike against Iran’s alleged nuclear weapons program had hit its target.” We will report more if this story is confirmed by any other news agencies because if true it means that at this point things behind the scenes are no longer happening in the shadows. Today’s curious news report posted by Iran’s semi-official news agency Fars, which was promptly muted, only to be republished by Israel’s Haaretz, of a major explosion near the Iranian city of Isfahan, has left many scratching their heads. As Haaretz reports: “Speaking with Fars news agency, Isfahan’s deputy mayor confirmed the reports and said the authorities are investigating the matter. However, after the incident was reported in Israel, the report was taken off the Fars website.” Which led many to wonder: is this a real event or merely a provocation designed to make Iranians believe they were attacked? 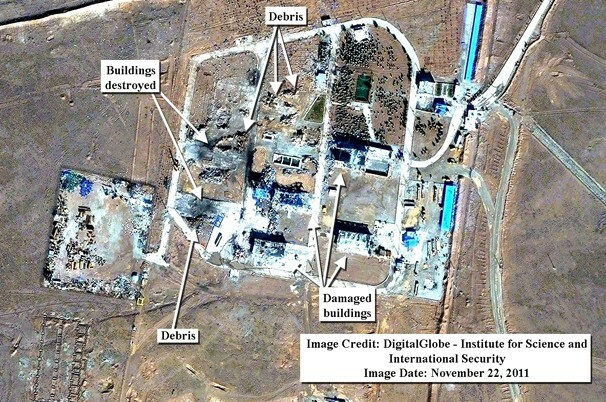 Further complicating matters is the just released news from Washington Post which shows satellite images of the aftermath of another explosion in Iran, this time from two weeks ago at an Iranian missile base. “The image of the compound, near the city of Malard, doesn’t provide any clues as to what caused the Nov. 12 explosion, which Iranian authorities described as an “accident” involving the transport of ammunition. But it does make clear that the facility has been effectively destroyed. 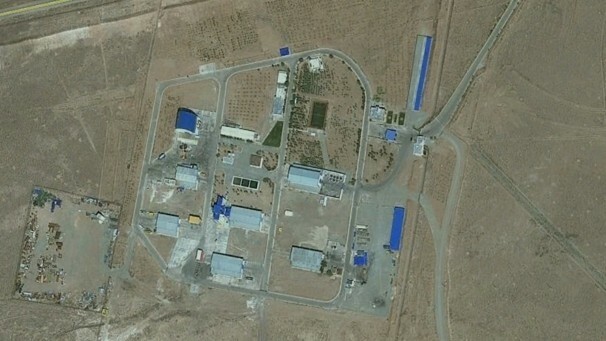 Paul Brannan, a senior analyst for the Institute for Science and International Security, which specializes in the study of nuclear weapons programs, said it’s impossible to tell from the image whether the blast was caused by sabotage, as has has been speculated in this explosion and others at transport facilities, oil refineries and military bases in Iran. Brannan said ISIS had recently learned from “knowledgable officials” that the blast had occurred just as Iran had achieved a milestone in the development of a new missile and may have been performing a “volatile procedure involving a missile engine at the site.” So the question stands: is Iran being systematically attacked with the news being covered up for fear that it can not retaliate and thus seem week; is it being sabbotaged on a weekly basis, or is everything just one big media disinformation campaign designed to provoke Iran to lash out? We will probably know very soon, today’s “oversold” and now completely disconnected from reality rally notwithstanding.